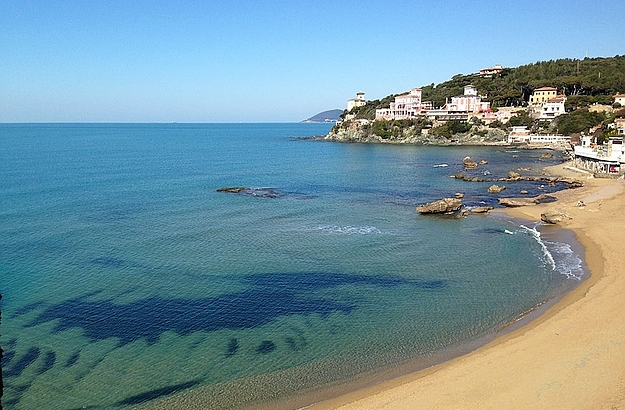 The Quercetano Bay, one of the most beautiful of the Livornese coast. 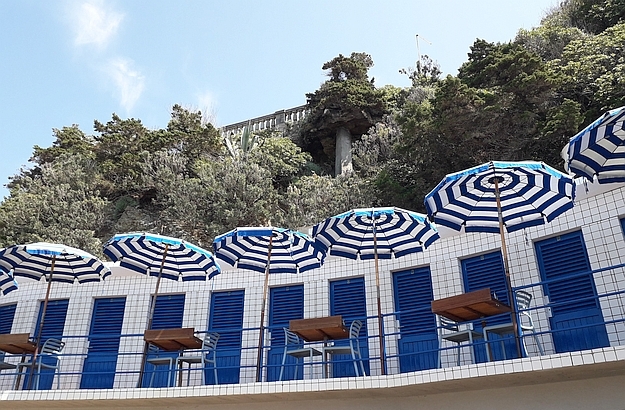 The carefully selected chairs, tables and brollies of the Bagni Nettuno. …and then you hang it up, sit back, and enjoy the scenery! In autumn, I love swimming in the turquoise waters of the Mediterranean. Well, what I’m trying to say is this: are there any coastal retreats in Italy where your eyes can be spared the sight of those unsightly chairs? Yes, there are a few! 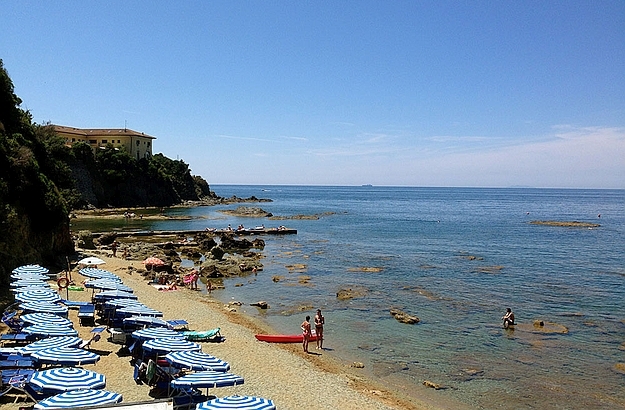 And I have just discovered another one: the Bagni Nettuno (Neptune’s Baths), a little paradise located in Castiglioncello, in the Quercetano Bay, one of the most beautiful bays of the Livornese coast. A natural amphitheater of verdant cliffs overlooking the Mediterranean. At the Bagni Nettuno, you will be lounging and drinking your Campari on elegant, comfortable, sky-blue deckchairs which are light-years away from the Monoblocs. And you’ll have the use of striped beach umbrellas and specially designed wooden tables. Classy stuff. 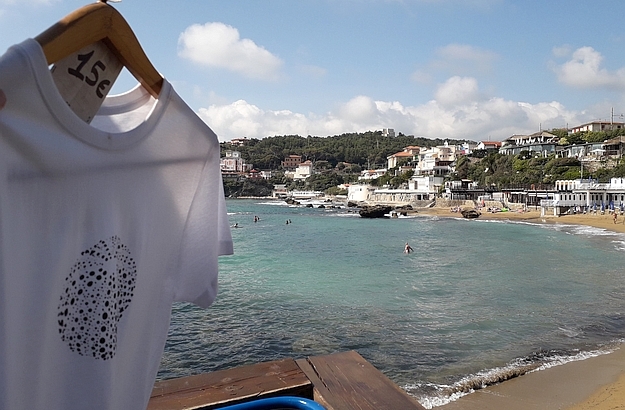 I even bought there a Bagni Nettuno fan T-shirt for my sea-loving daughter – she won’t take it off even to go to bed! 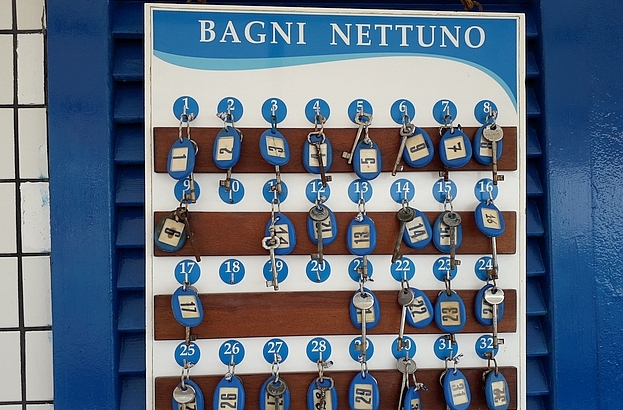 Founded in 1961, the Bagni Nettuno also offer the possibility to rent little boats, and take swimming and surfing lessons. 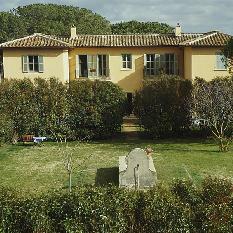 And they also serve great breakfasts, lunches and aperitifs. Autumn swims in the turquoise waters of the Mediterranean is something I have always be fond of. My family and I will return to Castiglioncello in October, but this time not to the Bagni Nettuno (which will be closed from September 19), but to the neighbouring Bagni Italia, a beach which is very pleasant too, and where a new restaurant, the Saraghino, will warm your heart and body with its excellent cuisine! Any chance I may see you there?